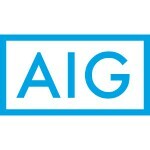 American International Group, Inc. (AIG) is a leading global insurance organization serving customers in more than 100 countries and jurisdictions. AIG companies serve commercial, institutional, and individual customers through one of the most extensive worldwide property-casualty networks of any insurer. AIG common stock is listed on the New York Stock Exchange and the Tokyo Stock Exchange. AIG companies operate throughout 16 countries and jurisdictions in Asia Pacific, serving over 10 million customers. Today, more than 22,000 team members come together every day to serve clients by offering a well-balanced and extensive product portfolio. In Asia Pacific, AIG provides commercial and consumer insurance solutions to small, mid-sized and large companies, multinationals, entrepreneurs, individuals, expatriates, and non-profit organizations. Our commercial insurance product offerings include casualty, management liability, professional liability, property, cyber, and specialty solutions including energy, environmental, marine, and political risk. On the consumer side, for individuals and families we offer auto, accident and health, homeowners, personal property, private client, travel, extended warranty, and life insurance. The consumer business represents 79% of net premiums written by AIG in Asia Pacific with commercial insurance making up the remaining 21%. 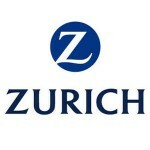 • One of the few truly global insurers, with a service network delivering capabilities in more than 210 territories. • A leader in centrally managed, international programs, with more than 4,500 such programs around the world. • A network of over 900 risk engineering professionals in 40 countries, whose local perspectives and risk insights help make a difference in the mitigation of cost of risk. • A worldwide claims organization with more than 8,000 claims professionals. 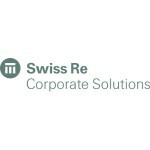 • An expanding portfolio of innovative solutions. 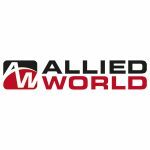 Allied World has enjoyed tremendous growth and success since our inception in 2001. Our secret? A fundamental, company-wide commitment to customer service. We design and offer risk transfer products that meet the diverse requirements of our clients, have a global branch network that allows us to be responsive to local needs, and deploy a strategy that allows us to be entrepreneurial yet financially secure. While we are constantly striving to expand our global footprint, we are also working diligently to stay close to the communities we serve. Currently, we have 20 offices servicing clients throughout the world. 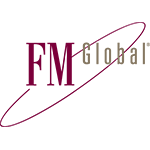 Established nearly two centuries ago, FM Global is a mutual insurance company whose capital, scientific research capability and engineering expertise are solely dedicated to property risk management and the resilience of its client-owners. As a mutual company, we answer to our policyholders, not shareholders. That’s because each policyholder is actually our owner. This mutual structure offers financial stability and expanded insurance capacity that is unique to FM Global. These owners, who share the belief that the majority of property loss is preventable, represent many of the world’s largest organizations, including one of every three Fortune 1000 companies. While other insurance companies offer many lines of coverage, commercial and industrial property insurance is all we do. This laser focus is just one way we serve our clients differently and collaborate with them to keep their businesses more resilient. Our clients work with FM Global to better understand the hazards that can impact their business continuity in order to make cost-effective risk management decisions, combining property loss prevention with insurance protection.